This RCV spool fits 2.5 Ton Rockwell front and rear axles with upgraded 47 spline axle shafts. 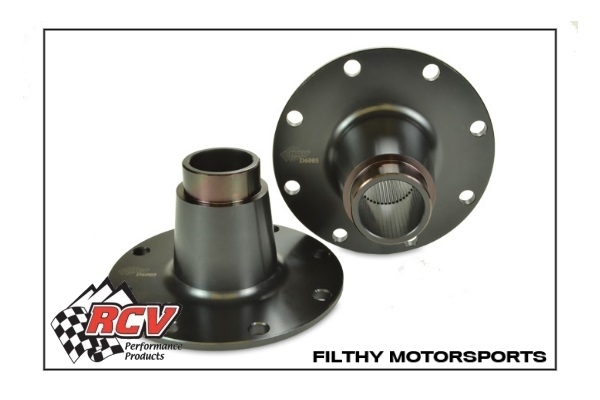 RCV Ultimate Spools replace the stock differential in your 2.5 ton Rockwell axles and lock both axle shafts together. They are machined from aircraft quality steel and are rated to handle RCV Ultimate 47 Spline Rockwell CV Axles. Made in the USA and covered by RCV's “No Questions Asked” limited lifetime warranty. If you break it, they will replace it. For off-road use only.